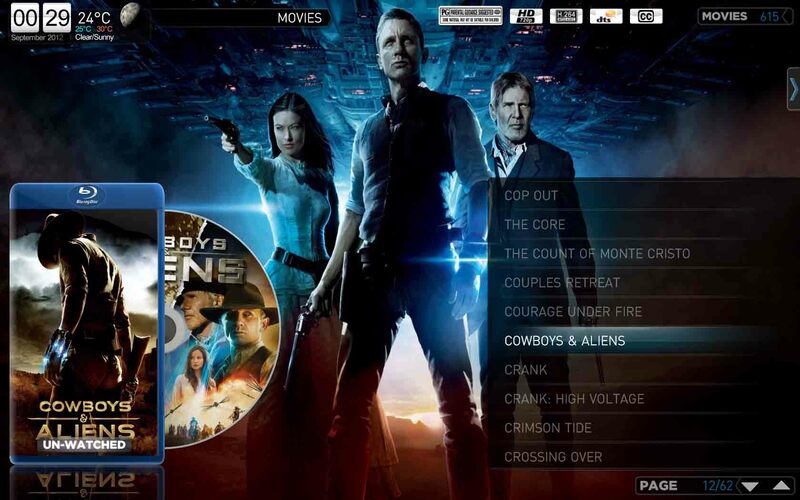 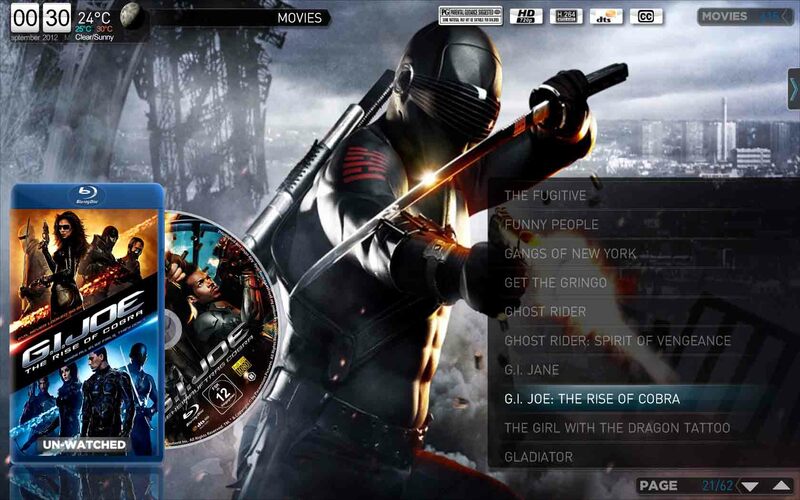 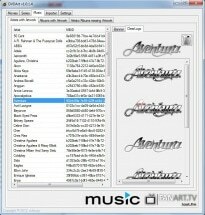 A plugin that srapes artwork for DVD cover art, Clear Art, Clear Logo, Backdrops, Banners and Covers of you movie collection in MovingPictures, myVideos, TVSeries and myMusic inside MediaPortal. 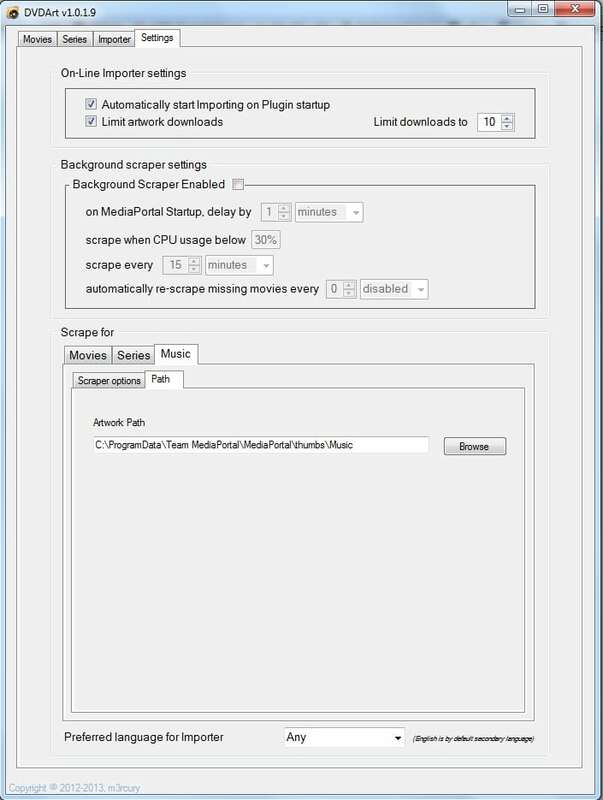 the data driving the scraper is taken from MovingPictures, hence any corrections, (mainly missing IMDb IDs) need to be corrected in MovingPictures. 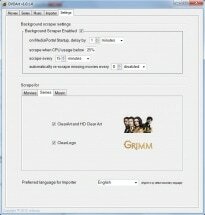 images are downloaded from Fanart.tv site. 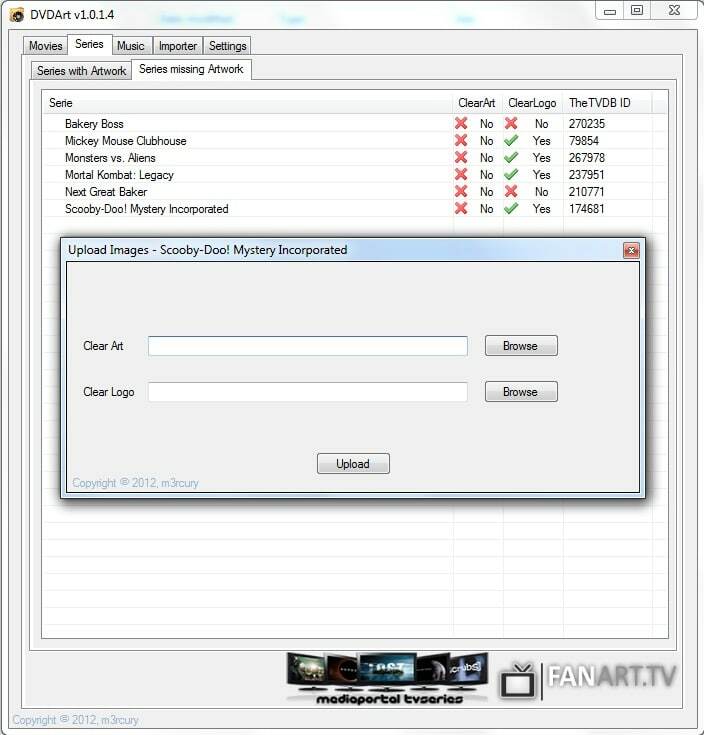 I recommend that you visit site and help out by uploading any DVD images you might have/come across so that we all enrich its content, resulting in scraper finding more images to download. 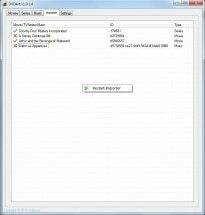 when you launch the application for the first time, it will create a new database called dvdart.db3 in the default database directory. 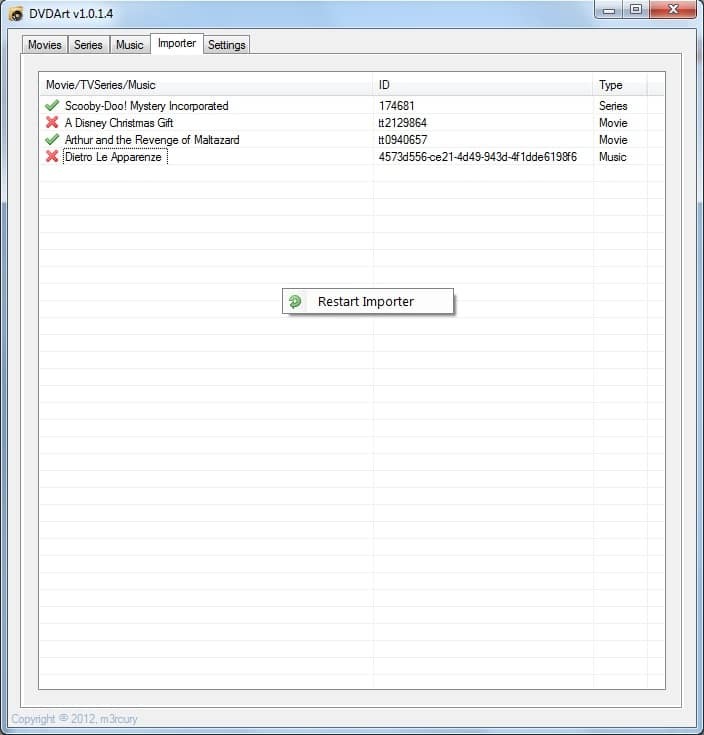 This is used internally by the application. 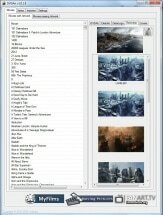 It will also create necessary folders to hold the images in thumbs\MovingPictures directory. 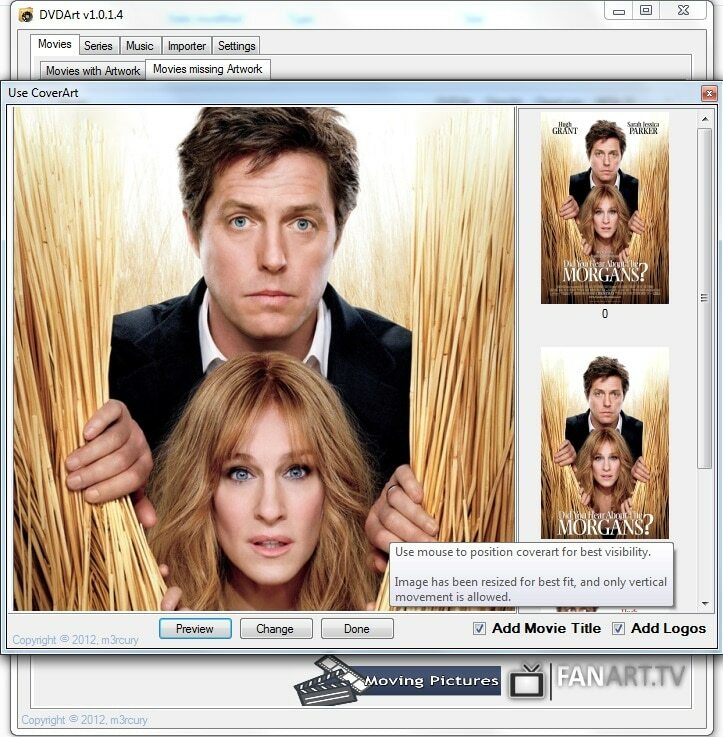 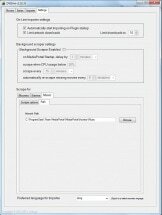 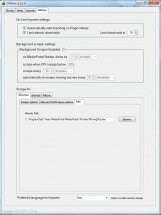 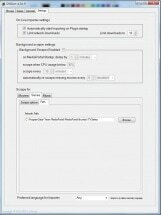 Movies with DVDArt, ClearArt, ClearLogo, Banner, Backdrop and Cover shows movies which scraper successfully downloaded an image. 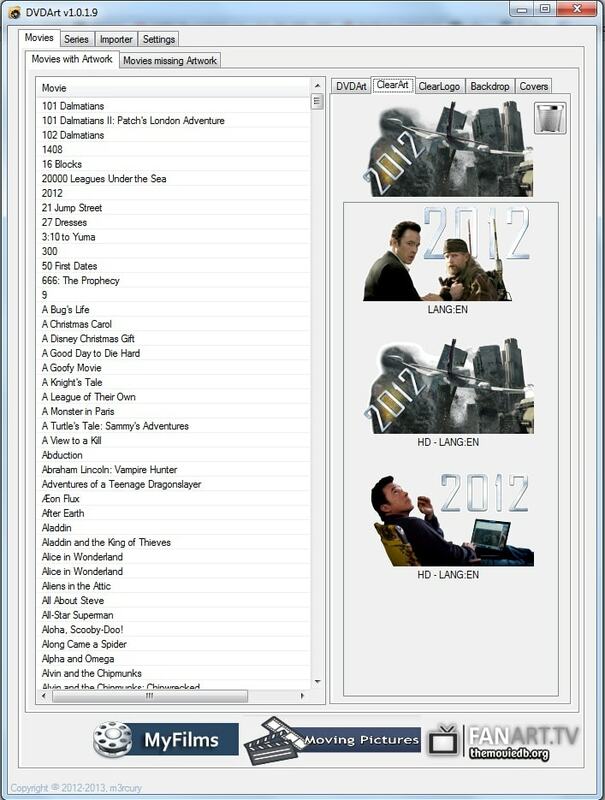 Movies missing Artwork shows movies which scraper could not find any/some images. 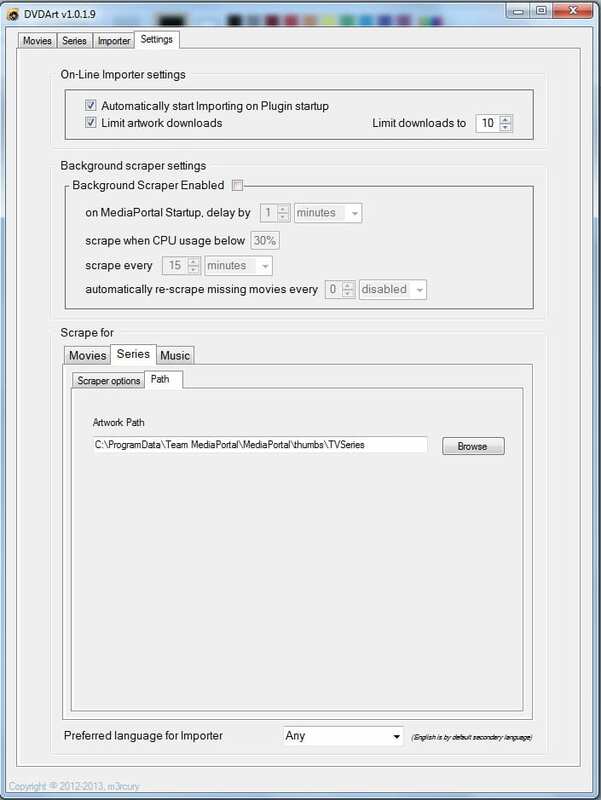 Series with ClearArt and ClearLogo shows series which scraper successfully downloaded an image. 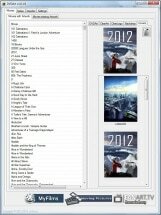 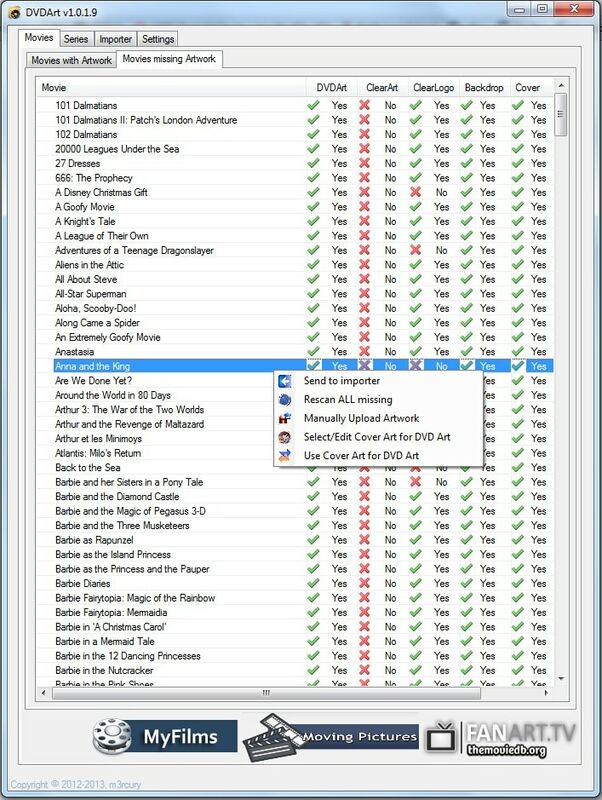 Series missing Artwork shows movies which scraper could not find any/some images. 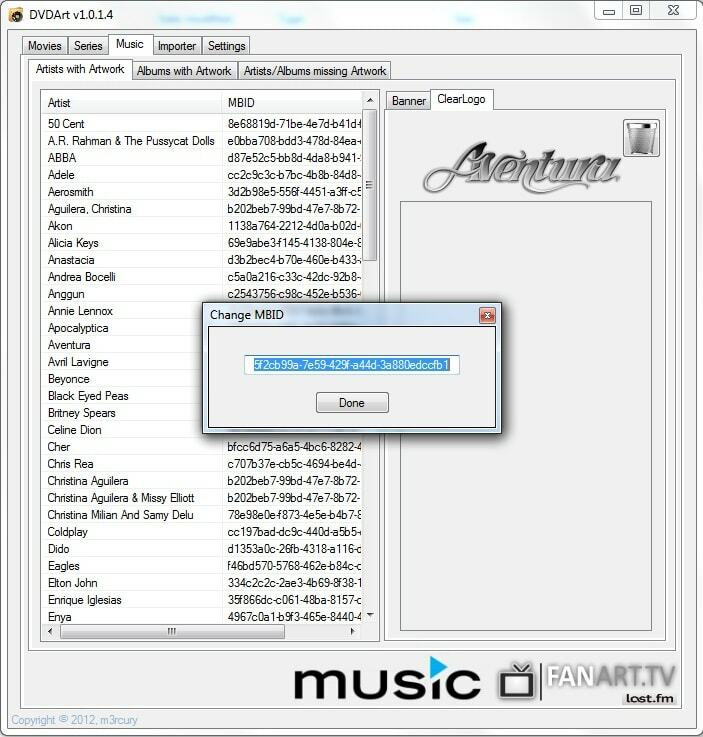 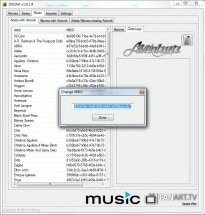 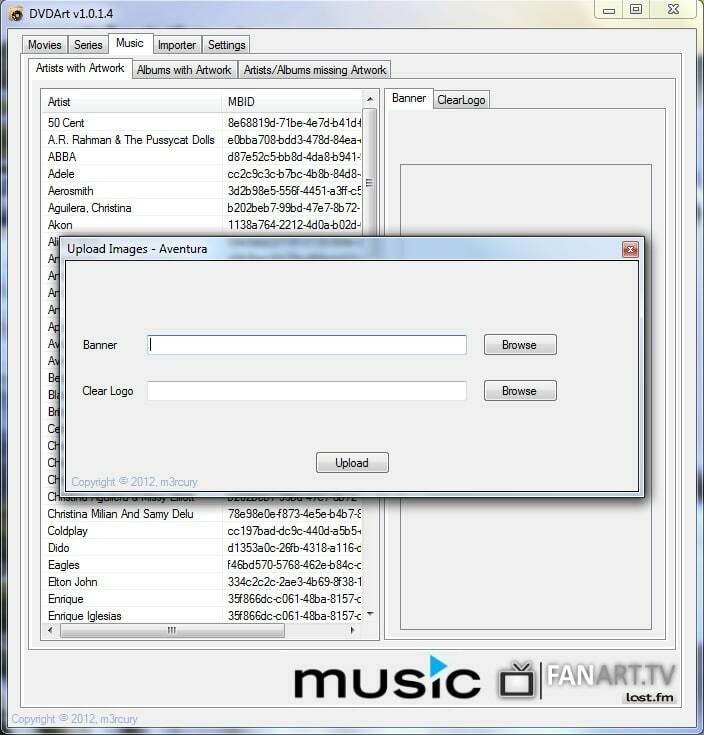 Music Artists with Banners and ClearLogo shows artists which scraper successfully downloaded an image. 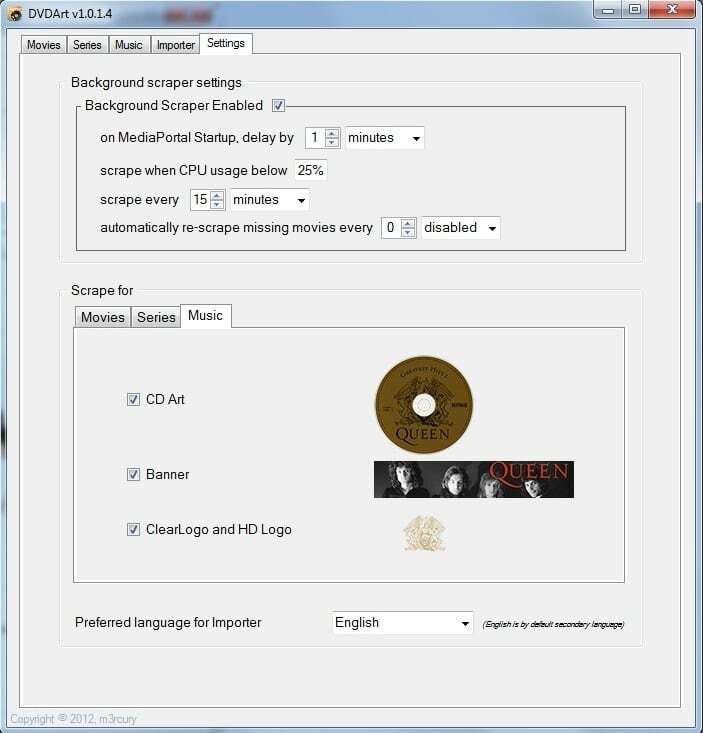 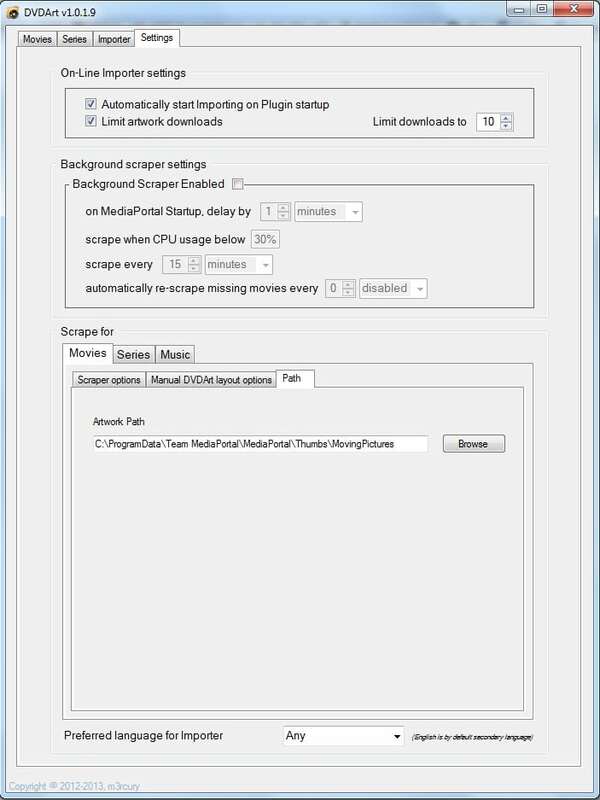 Music Albums with CDArt shows albums which scraper successfully downloaded an image. 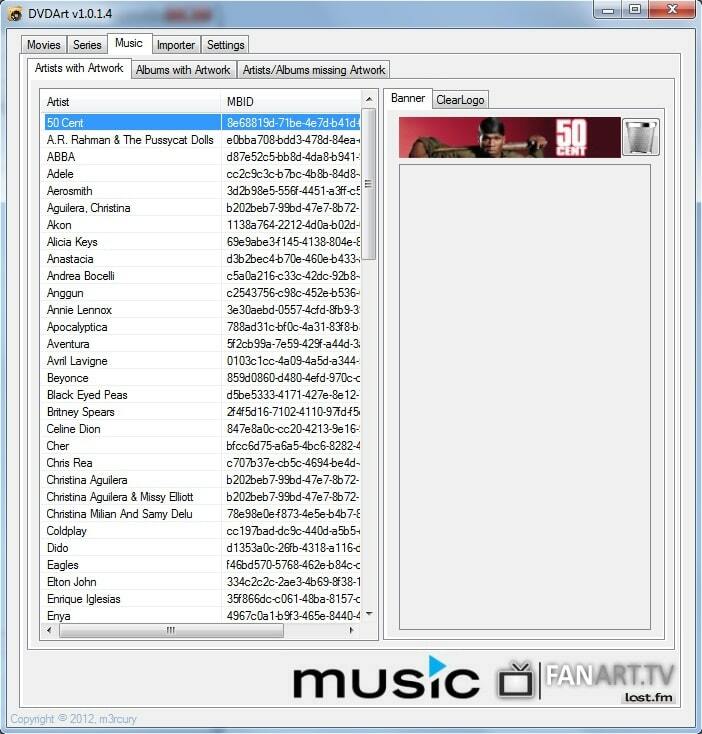 Music missing Artwork shows artists and albmums which scraper could not find any/some images. 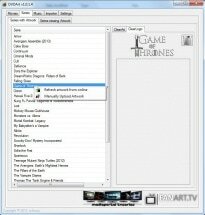 Importer shows list of itmes which are currently being imported. 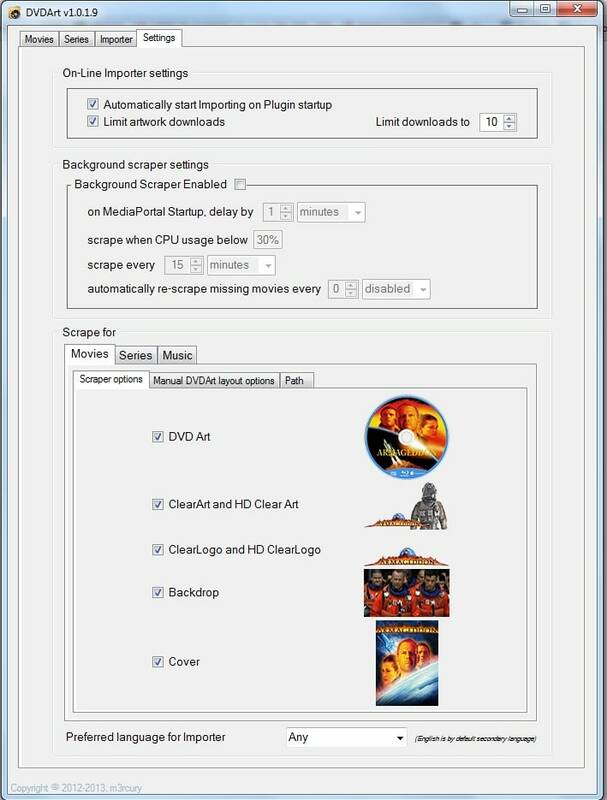 the import function for new movies executes automatically in the background, so you don't need to trigger it manually. 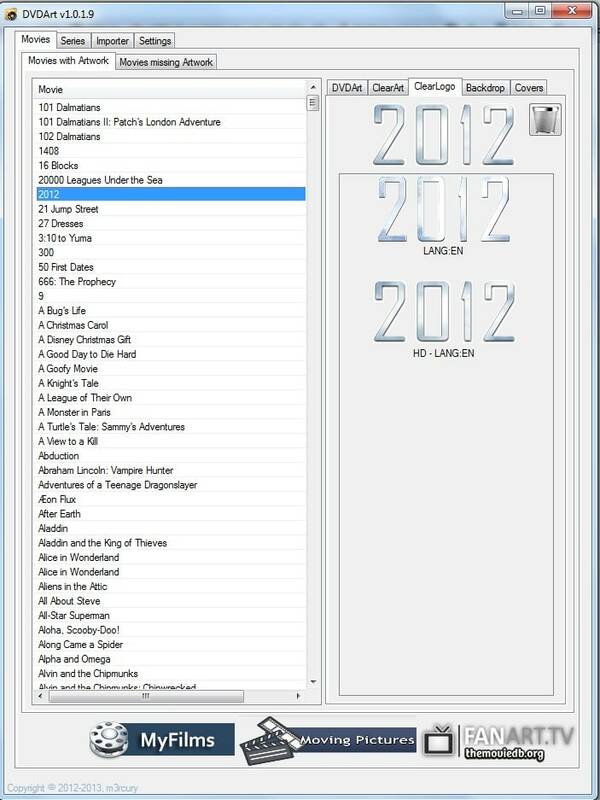 each tab has a number of functions which can be triggered by pressing the right mouse button. 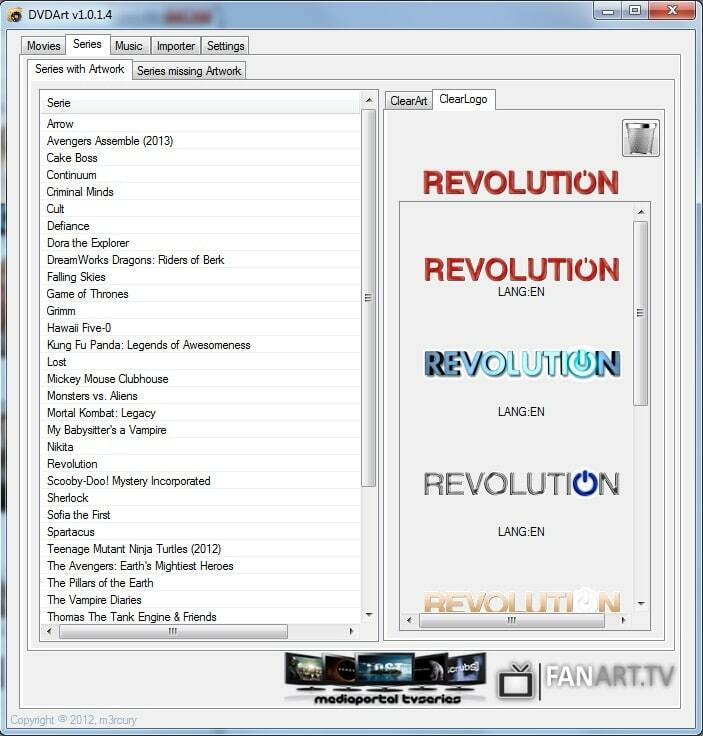 In Movies with DVDArt tab, pressing right mouse button gives the facility to Refresh DVDArt from Online. 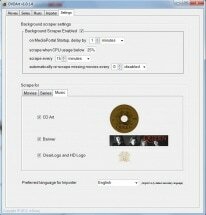 This option download all images available and allows you to change the existing image chosen. 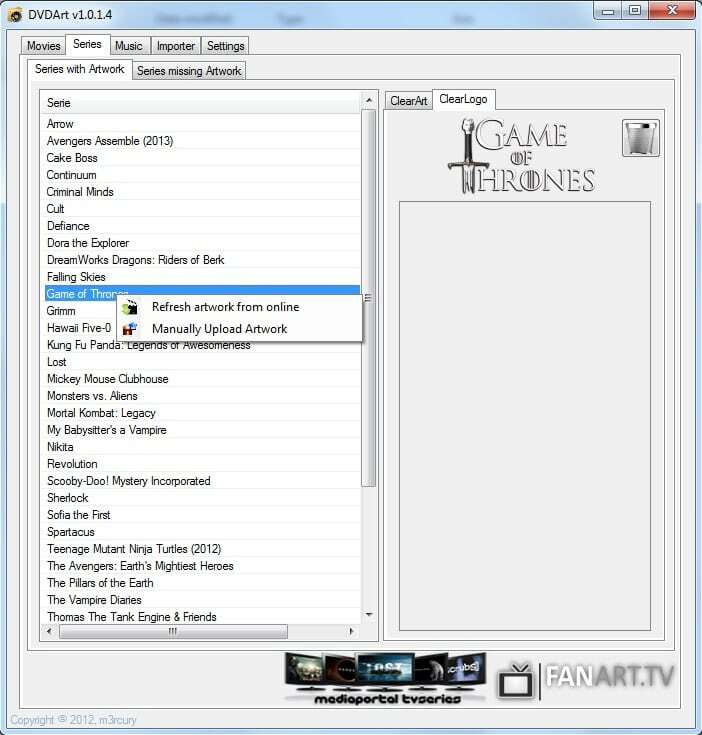 In Importer tab, pressing the right mouse button will Restart the Importer, hence if changes were done in MovingPictures, you don't need to restart application. 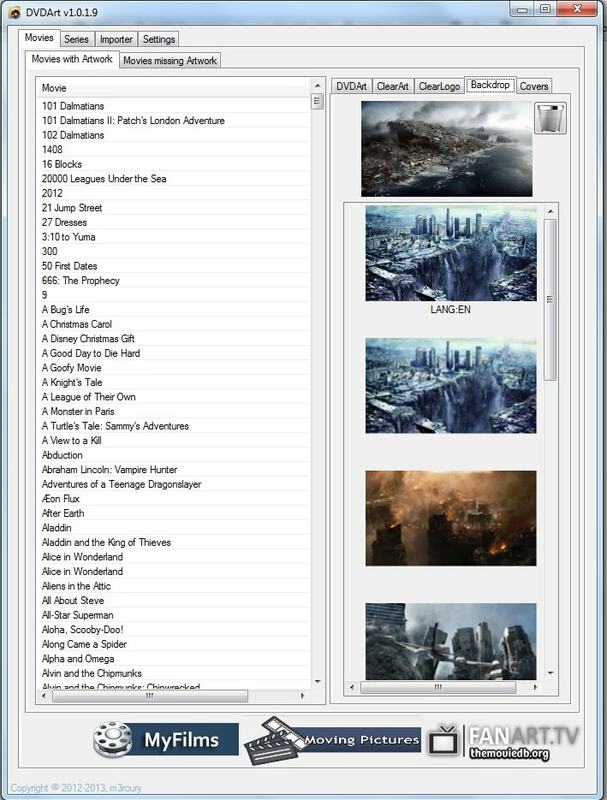 In Movies missing DVDArt tab, the right mouse button presents 2 options. 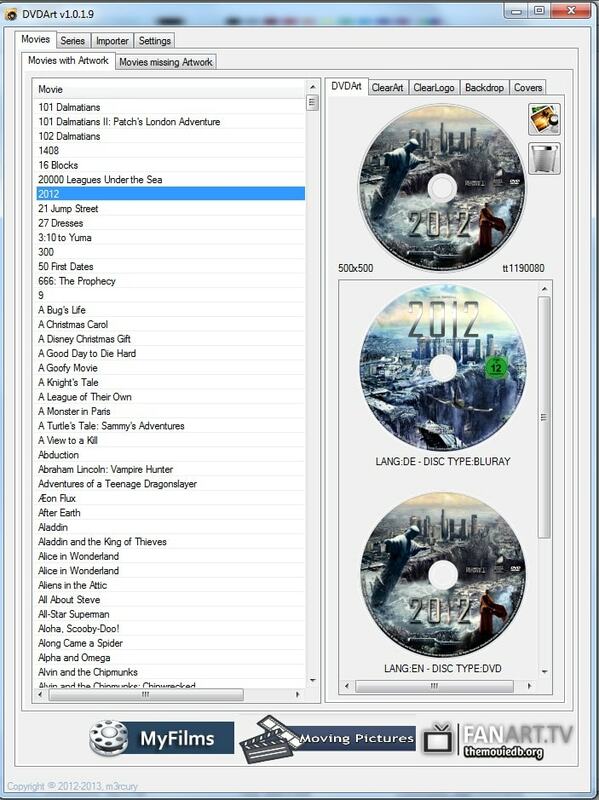 The first one sends the currently selected movie to the importer, which the second sends all the movies missing DVDArt to the importer. 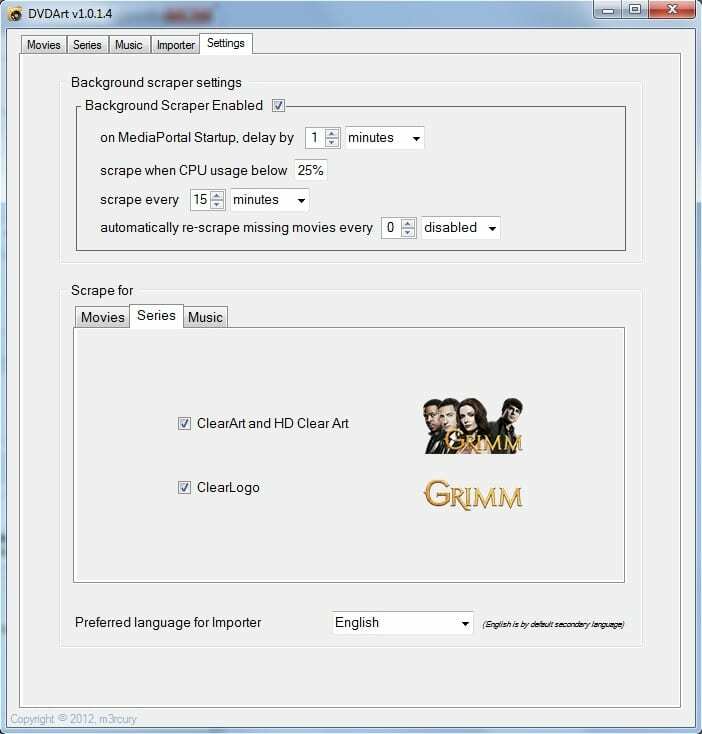 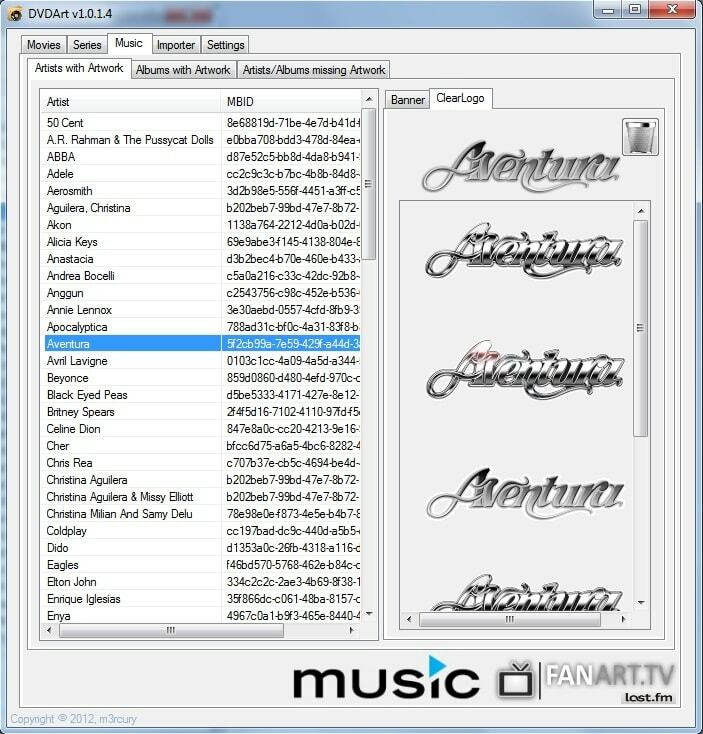 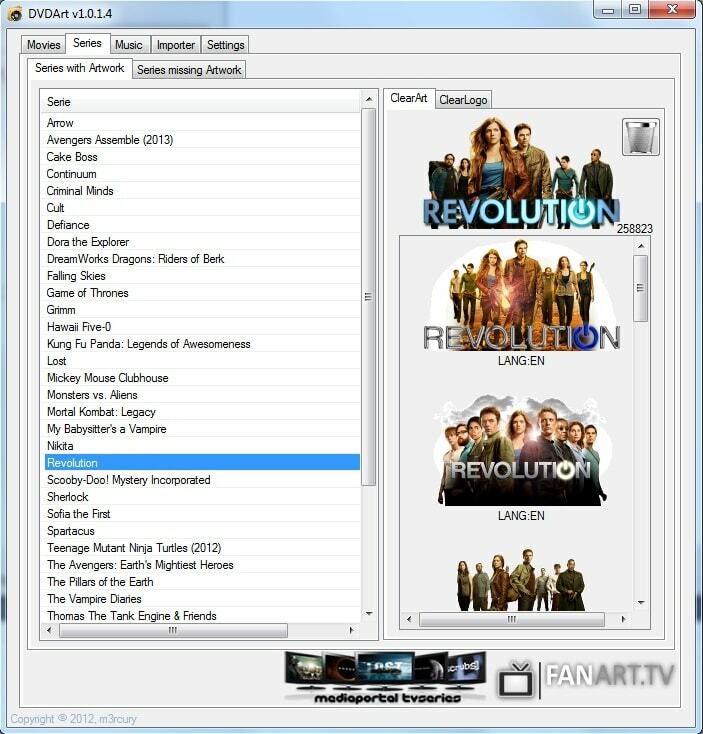 For MovingPictures to display the downloaded images, a small enhancement is required in movingpictures.fanart.listview.xml. 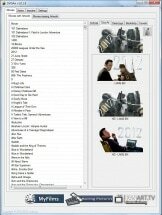 Changes to movingpictures.fanart.listview.xml can be found below marked by -- m3rcury : Rotating DVDArt --. 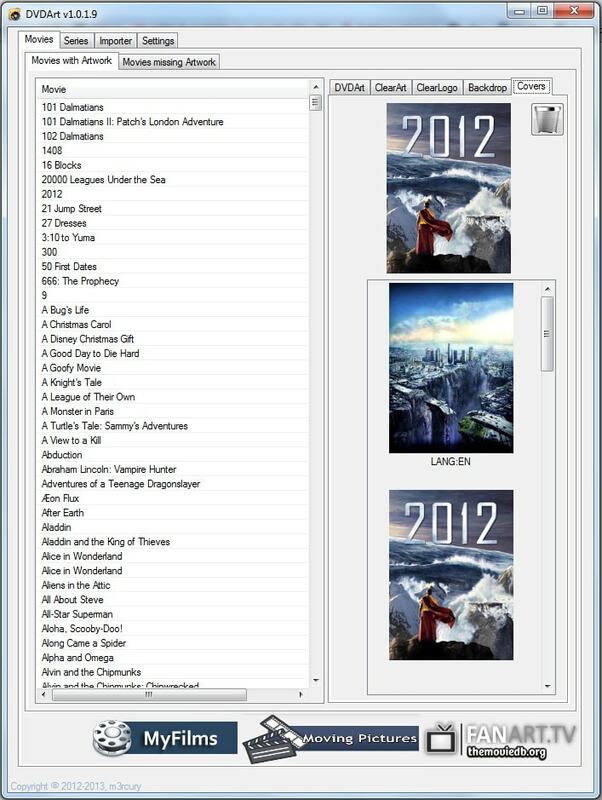 Some bug fixing and bumping up SQLite version.